The threat of more strikes in the transport sector and the uncertainty on Provincial Council elections brings focus to the political divisions within the government of unity. However, the arrest of ‘Navy Sampath’, wanted for some big crime brings relief to the government, with a message of progress in the fight against corruption and criminal acts of the past regime. Colombo Fort Magistrates Court’s order to initiate separate legal action against the suspect Chandana Prasad Hettiarachchi, a former Lieutenant Commander of the Navy, on matters beyond his arrest in connection with the abduction, torture, extortion and the alleged abduction of 11 persons, shows a wider range of crime. It is an extension of crooked practice in covering one’s identity that point to support from hidden sources. The additional offences include preparing a false passport, a false National ID, and pretending to be another individual. He is also wanted for the former TNA Jaffna District MP Nadaraja Raviraj’s murder, found not guilty by the Colombo High Court, but being appealed by the State. The Magistrate also directed inquiry into the alleged transfer to him of Rs. 500,000 from the Sri Lanka Navy. This could show the wider involvement of high-ranking Navy personnel in the long absence of ‘Navy Sampath’, and alleged naval links to the abduction of 11 persons, mainly youth in 2008 and 2009, held in naval premises in Colombo and Trincomalee. The breakthrough with ‘Navy Sampath’ should give encouragement to the FCID and other anti-crime forces that have come very far in the hunt for the killers of Lasantha Wickrematunge and Rugby Captain Wasim Thajudeen. This could be a major turn in the government’s pledge to fight the crimes and corruption of the Rajapaksa Regime, threatened by lack of sufficient support from forces of government. Quick and clean police and legal action on the ‘Navy Sampath’ related abduction of 11, could give those in government keen to proceed with a good fight against corruption, cause for new political strength. 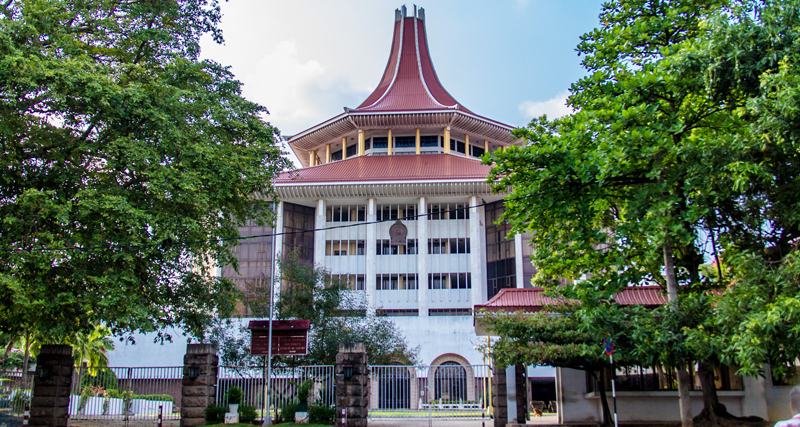 Moves by sections of the Maha Sangha to have an intervention in support of the leader of the Budu Bala Sena, Galagoda Atthe Gnanasara Thera, convicted by the Supreme Court for Contempt of Court, is no surprise. The Kotte Maha Sangha Sabha, to which Gnanasara Thera belongs, has observed a legal problem involving the monk’s conviction. The Mahanayake Thera of the Sangha Sabha sees the actions of Gnanasara Thera that led to his conviction, being for the betterment of the country, the Maha Sangha and the Buddha Sasana. There was a mighty row just over a month ago, about this Thera having to wear the prison jumper, when convicted to imprisonment. The observing of a legal problem over this monk’s conviction is in keeping with the ‘jumper’ trend, and nothing on how his conviction affects the country, the Maha Sabha and the Buddha Sasana. The Kingdom of Kotte gave us some great monks who brought to the people the fine teachings of the Dhamma and Sinhala Literature, and a wonderful combination of both. The ‘Loveda Sangrava’ alone can teach both monks and laymen the value of law and order in society. Their teaching did not seek any confrontation between the Law and the Buddhist Order. Members of the Sangha did fight for freedom from foreign and colonial rule, and bring a more equitable society in this country. The Buddhist clergy does not seek to violate or insult the Rule of Law, especially when the Supreme Court of the land interprets it. The case record of Gnanasara Thera shows he did refer to the law of the foreigners or Suddhas. It is good for those worried about the Suddha’s law to know that the bulk of our laws have come from the colonial rulers, and accepted in this post-colonial, independent country. Free Education itself was a law adopted during colonial days. The structure of the Nikayas was also bought to law in the days of the Suddhas. The verdict of the Supreme Court is certainly based on such law. Roman-Dutch Law and a vast amount of our laws have come from western traditions of legality. The members of the Sangha, who are citizens of this country, are bound by the laws of the land, as are all other citizens. The Buddhist monks certainly have the right, just as other citizens, to seek amendments or changes to laws that are outdated, undemocratic, and unfair by the people. This does not mean contempt for the institutions that administer the law as it stands – The Courts of the Country. What Gnanasara Thera did was to bring the Court at Homagama, and the judge presiding in that Court to gross contempt. There is a law against such action, even when committed by one wearing a Yellow Robe of the Sangha. It is necessary for all sections of the Sangha, including from the Kotte Sangha Sabha, to understand and appreciate this realty, which is in keeping with an understanding of the teachings of the Buddha, which seeks a civilized and humane society, and not a society of the vulgar and the unlawful. The government certainly has to come to a quick decision on the Provincial Council elections. Three councils are not functioning, and very soon, the others will be dissolved. The delay in the polls can only be a loss to the government, both the UNP and SLFP branches of it. Disagreement on the type of poll to be held is of little interest to voters, and there are many new voters being registered. The government must realize that the defeats suffered by the UNP, and worse by the SLFP, in the Local Government Polls was largely due to the delay in that election. If the government is unable to come to a decision on the system of polling for the provincial elections, is it not possible for the proportional system to be used, with existing legislation? Many analysts of election laws think this could be done, as law has still not been replaced, although the second reading of the new Act has been passed. In the absence of a new Act, they see the old Act remaining as law. Is this not a position the Commission of Elections should take or could take, and go ahead with the next polls? The Government and the Elections Commission should move with speed on these polls. While the government has this problem, the Joint Opposition is certainly having its own problems. Apart from the differences within the Rajapaksa family on the next candidate for the presidency, the increased differences within the SLFP remains a constant problem. The Speaker gave a very clear and firm ruling on the office of Leader of the Opposition. The UPFA/SLFP members of the JO must now decide whether they can really leave the UPFA. Are they prepared to face a possible expulsion from their seats in the event of resigning from the Alliance they contested the election? This is a matter that will have to be decided by the Courts, but are they ready to take such a risk. The Chairman of the SLPP, Prof. Peiris, with all his knowledge of the law, may not be able to give a clear ruling on this issue. The JO and SLPP are divided on the Rajapaksa brotherhood on the presidential candidacy. The voice from Kalutara is very clear on his opposition to Gotabhaya Rajapaksa. There are questions whether Gotabhaya or Basil, and certainly not Chamal, will support the future expectations of Mahinda Rajapaksa for his son Namal. The team of Blue 16 of the SLFP also shows further divisions, with four of them – SB Dissanayake, Dilan Perera, Dayasiri Jayasekera and Thilanga Sumathipala making a show of remaining with Maithripala Sirisena as the next Blue candidate. The new political activity at Polonnaruwa by President Sirisena, with more tough talk on solving wider national issues, cannot give any satisfaction to any of the Rajapaksa brothers in the line-up for the candidacy. While the general expectation on the JO and SLPP or Pohottuwa is for success as in the Local Government election, there are doubts emerging whether the public will vote the same way for a government. They are also worried about the ability to win over sufficient votes from the minorities. All of this makes the Pohottuwa look more like a bunch of small pohotttus, than a winning flower. There are also concerns about the ability of President Sirisena to call for a presidential poll at any time in 2019. An early 2019 poll will pose major problems for the US citizen Gotabhaya, even with full military backing, to show that he is only a Sri Lankan citizen. Will electoral politics in Sri Lanka be left to the Citizenship Laws of the USA, or will a candidate here need an anti-immigration move by Donald Trump to sign one’s nomination form?